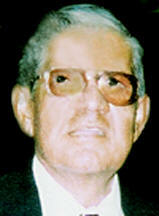 Manuel 'Manny' Solis was a lifetime resident of El Paso, Texas. He passed away on March 22 2012, at William Beaumont Army Medical Center, Fort Bliss, TX, at the age of 73. Manny was born in El Paso on 08 July 1938, the son of Cruz and Juana Solis. He graduated from Austin High School and enlisted in the United States Army as a combat engineer. He served honorably with tours of duty in Korea, Japan, and Viet Nam. It was during his overseas service in Okinawa, Japan that he met and married the love of his life Ritsuko on 14 February 1962, whom he was committed to for the rest of his life. From 1967 until 1969, he served in Viet Nam, where he was decorated for gallantry under fire and awarded the Purple Heart, Bronze Star with V Device, and Silver Star. His service ended in 1970 when he was medically retired after losing almost all of his eyesight from the wounds that he had received in combat, and he returned to El Paso, where he remained until his passing. Undaunted by his disability, Manny returned to school and received an Associate's Degree in Construction Management from El Paso Community College. A loving father, he devoted his life to his wife and children, and as a skilled craftsman, Manny enjoyed continually improving their home environment. In later years, Manny was a loving and proud grandfather. Manny became active in the local Boy Scout Council in 1978 and was a tireless volunteer and leader who touched the lives of hundreds of young men. He was instrumental in starting and leading a local Boy Scout Troop tailored to Special Needs children, and in 1989 was recognized for his efforts by the United Way when he was named the El Paso Volunteer of the Year. Manny dedicated years of support and service to the local Disabled American Veteran's Chapter 187, the Purple Heart Association, and the Veterans of Foreign Wars. A wood-working artist, hundreds of people received the joy of possessing one of Manny's handcrafted pieces, a hobby he enjoyed with his good friend Jerry Tennison, who preceded him in death. Manuel was preceded in death, by his parents and his beloved daughter, Sally. He is survived by his wife of 50 years, Ritsuko; his daughter Cindy Berg and her husband Andrew of El Paso; his son Mike and his wife Patricia of El Paso; his grandchildren Serena Berg, Kayliegh Berg, Mike Y. Solis, Manuel J. Solis, and Gabrielle Solis, all of El Paso. A devoted family man and patriot, he was loved and respected by all who were blessed to know him. Manny will be dearly missed. Memorial contributions can be made to the Disabled American Veterans.